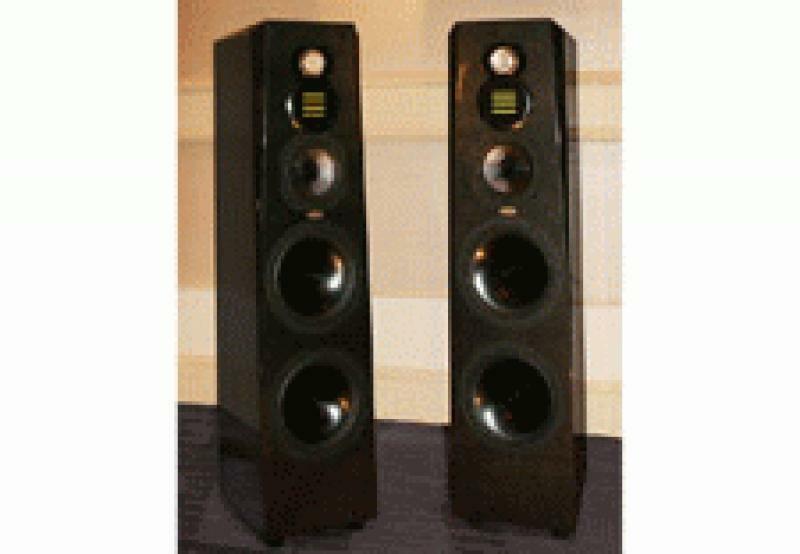 Legacy Audio's Bill Dudleston was on hand at the Marriot Technology Center to preview the new Legacy Signature SE speaker. The demonstrated system included the Legacy Signature SE in black pearl finish, 400 watt monoblocs, preamp, and digital server/player from AVM along with cables from Kimber and Wireworld. Dynamics were demonstrated using a drum track recorded at Legacy's Studio, Acoustic Avenue. Legacy Audio gave away nearly 500 copies of their new sampler disc. The Signature SE occupies about 1 square foot of floor space, yet delivers extension and dynamics in a four foot tower design. Utilizing the same ribbons and 7" midrange, Signature SE employs dual 10" woofers in a sealed enclosure to achieve low frequency extension. Biamp capable, Signature SE features Kimber Silver HF wire on the treble and Solen capacitors in the high frequency section. Black chrome adjustable spike feet are insolated by 2" rubber cones to assure a solid foundation. SignatureSE is a scaled down version of the Legacy Focus SE.